Biting The Hand That Feeds You: Easy and Fun Fruity Classroom Snacks! 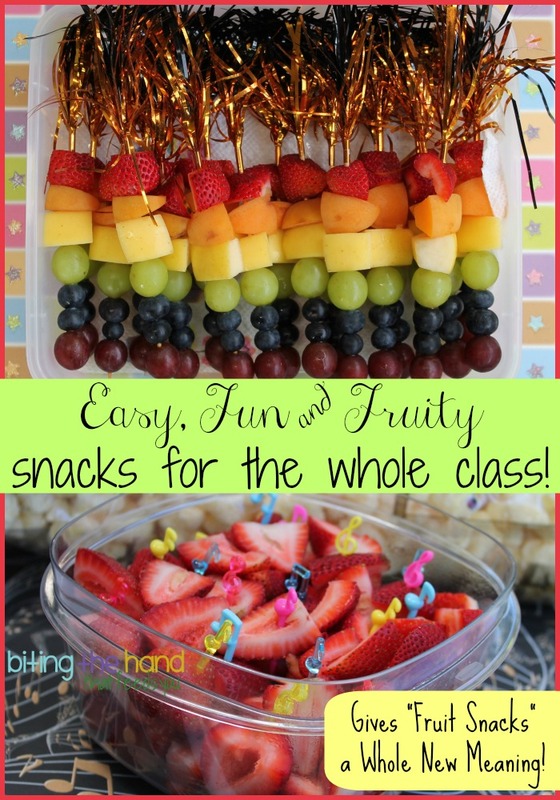 Easy and Fun Fruity Classroom Snacks! This one was super easy! 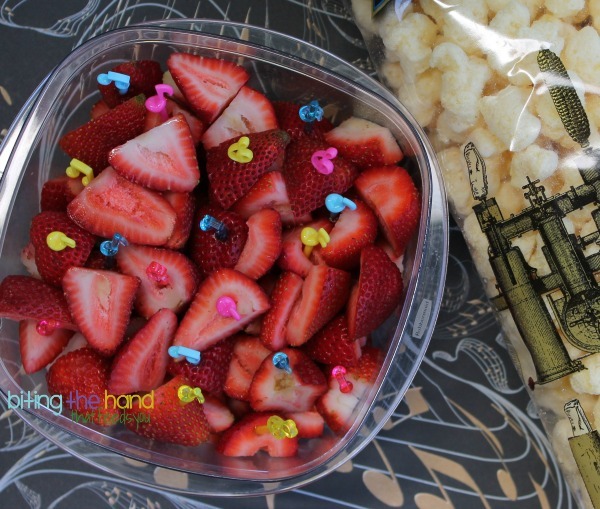 I just cut up a pound or so of strawberries and stuck enough music note picks in them so every kid could have one. Plus a few extras, so no one would be stuck with a color they hated. Hopefully. The kids got to keep the picks, to go with the snack bento gear they'd gotten to keep from my previous week as snack parent. This snack was harder to plan than to actually make. Although it takes up a lot of counter space, unless you want to do just one fruit at a time on all the skewers before going to the next fruit! 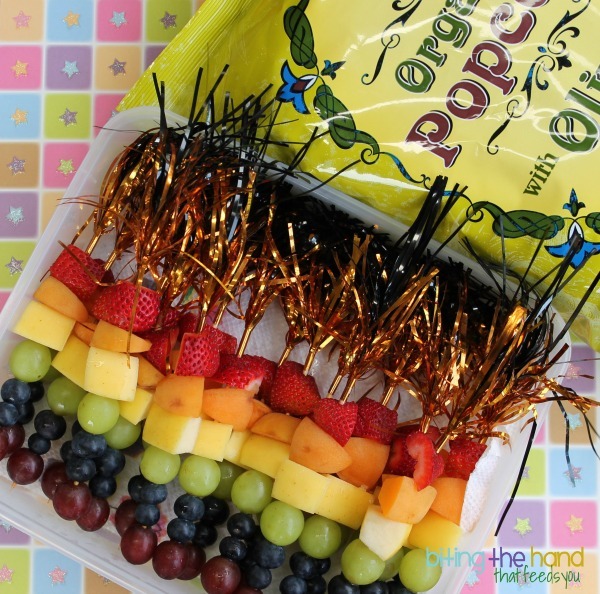 I couldn't find any of my more colorful foil fringe food skewers, but Z loves the "gold" and black ones. For the "crunchy," I sent some Trader Joe's organic popcorn with olive oil and salt. Yum! *disclaimer - I conferred with the teachers in advance before sending picks and got their okay first, and made sure to give them a reminder warning each time! Love this idea! Shared today! !